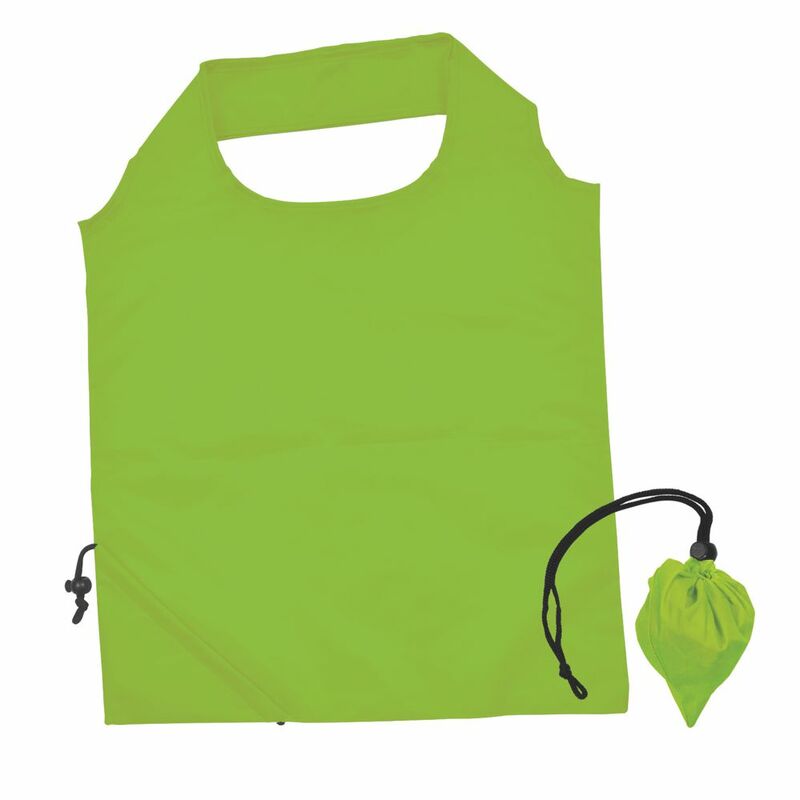 Reusable polyester folding shopping bag with integrated drawstring pouch in corner. Resusable shopping bags are eco friendly as they reduce waste. These bags are an excellent choice due to the increasing emphasis on reducing plastic bags by enviromentally friendly consumers. One colour print pricing. 180x250mm.